Yesterday it was announced that New Haven Mayor Toni Harp would be this year’s Ella T. Grasso Women’s Leadership Award winner. Harp will not be going alone as 10 other women will be honored for their service to the Democratic Party during this year’s Leadership Brunch. One of these women is the Milford Democrat’s very own Sharon Marrone. Congratulations Sharon, it is a well deserved honor. Thank you for your service to our community and dedicating your time to the Milford Democratic Party. 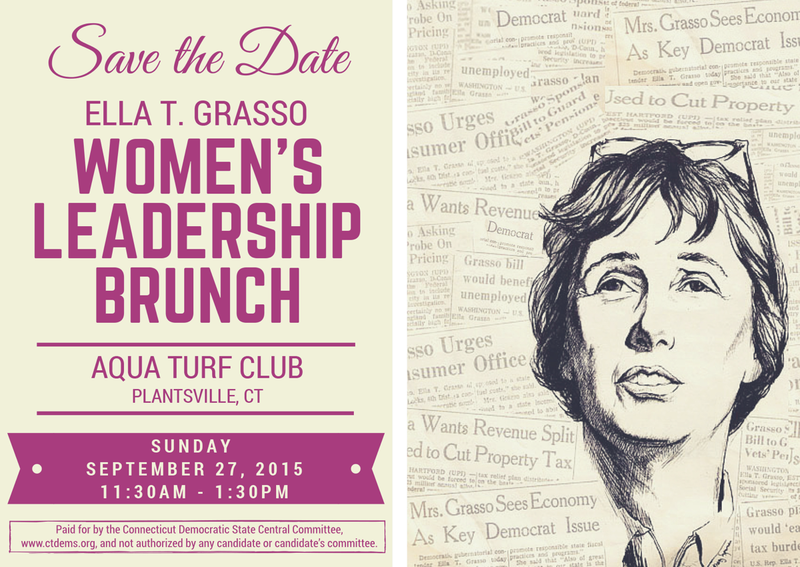 To get a ticket, or to place an ad in this years Women’s Leadership brunch ad book, click here. Past Ella T. Grasso honorees from Milford include Claire Phelan, Tessa Marquis and Pat Chaco. This entry was posted in News and Events and tagged Ella T. Grasso, Ella T. Grasso Women's Leadership Brunch, Ella T. Grasso Women’s Leadership Award, Milford, Sharon Marrone. Bookmark the permalink.